Many health problems arise from or are worsened by a clogged lymphatic system. Simple issues that you have probably had at one time or another include swelling of the hands where the rings that normally fit are suddenly tight and having enlarged lymph nodes in your neck when you are sick. However, there are many other symptoms that can indicate a clogged lymphatic system. When the lymphatic fluid backs up because it is sticky, congested, or blocked, fluid from the tissues containing waste cannot enter the lymphatic system to be disposed of by the body. 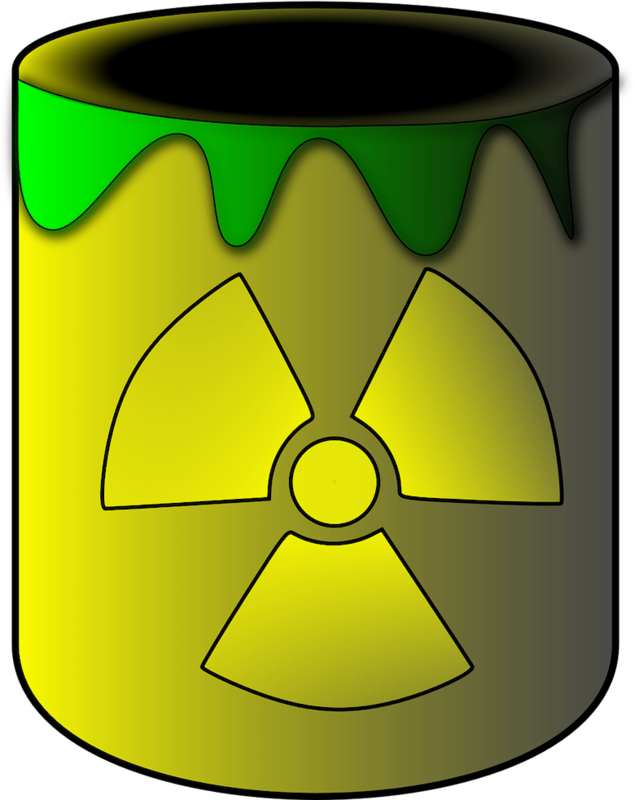 This backup prevents the cells from getting necessary nutrients. When this happens, the cells lose metabolic efficiency and can no longer do their job. If enough cells are in this state, degenerative conditions develop and sickness and disease result. Effective lymphatic drainage is essential for basic tissue detoxification and is a vital part of any healing process. A detoxified body has the power, resistance, and a potential needed for healing. 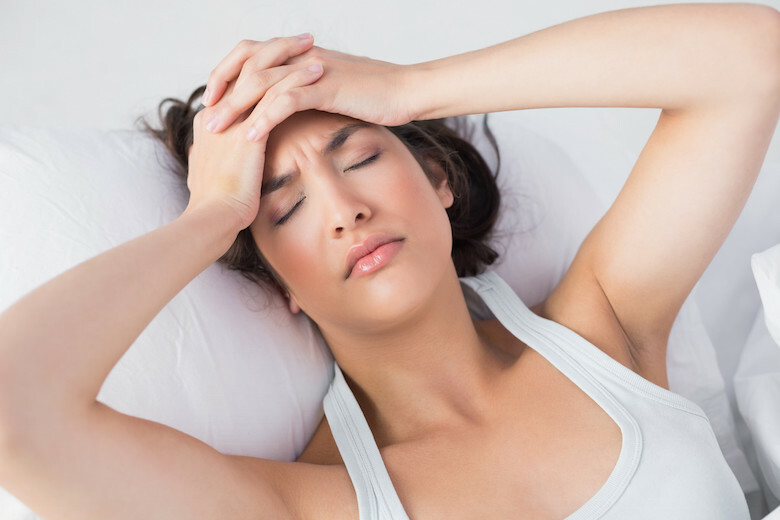 Headaches and brain fog are two common side effects of congested lymph. When there is swelling in the head due to a lack of proper lymphatic (and often sinus) drainage, pressure increases causing a headache. The lymphatic system is also how the cerebrospinal fluid naturally drains out of the brain taking with it waste byproducts and allowing room for new fluid to be produced. Bloating and digestive issues can be directly related to a clogged lymphatic system. Approximately 30% of our lymphatic system is linked to our gut or is in the immediate vicinity. Constipation is a common symptom of congested lymph as are unexplained food sensitivities. Chronic Fatigue Syndrome, Fibromyalgia, and brain fog/confusion are commonly caused by a congested lymphatic system. Recently, it was discovered that the fluid that surrounds our brains and spinal cords (cerebrospinal fluid, or CSF) is drained by the lymphatic system. If this fluid is not draining, plaques and other toxins can build up in old CSF and make us feel groggy, confused, and lethargic. Similarly, depression has been tied to clogged lymphatics. Likewise, skin problems such as dry or itchy skin and acne can indicate that our lymph is not flowing as it should. 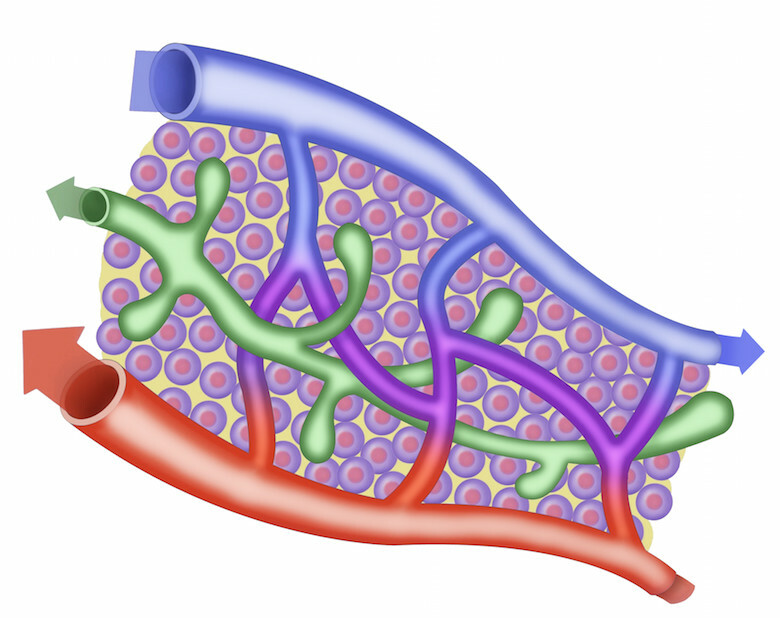 Approximately 70% of our lymph system resides directly under the skin. Cold hands and feet sometimes can be attributed to a backed up lymphatic system. Swollen ankles may be caused by a congested lymph system. 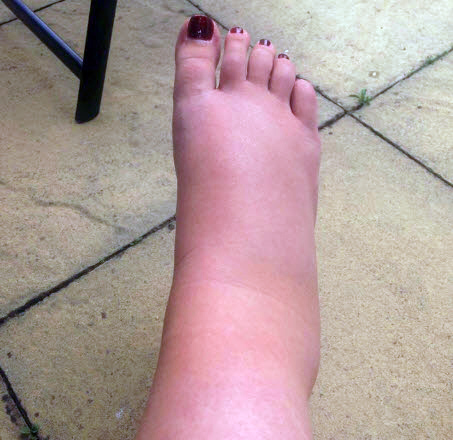 A damaged lymphatic system can also be a cause of swollen ankles. Frequent sinus infections and worsening allergies are signs that your lymphatic fluid is not moving effectively, as are an increased occurrence of colds and the flu. When there is head congestion bacteria and viruses can travel from the nasal cavities into the stagnant fluid located in the sinus cavity, causing an infection. The feeling of having a stuffy head, congestion, lots of mucous on waking in the morning, or dental infections might also point to a backed up lymphatic system. If you often wake up sore or stiff in the morning, you may have sluggish or congested lymph. 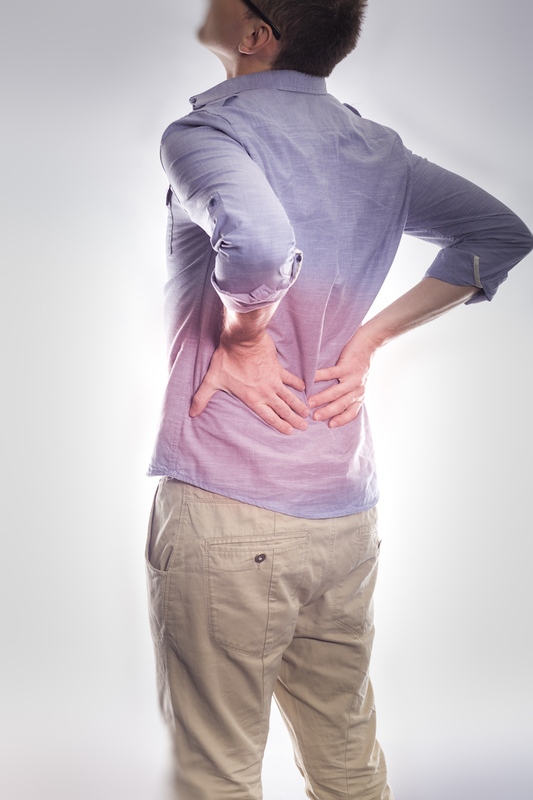 You may also notice that you feel pain that tends to move around from place to place in the body. Tender breasts are generally caused by retained lymphatic fluid in breast tissue. Elsewhere in the body, general bloating and water retention are commonly caused by a lymphatic system that isn’t up to par. How Do You Fix Clogged Lymph? 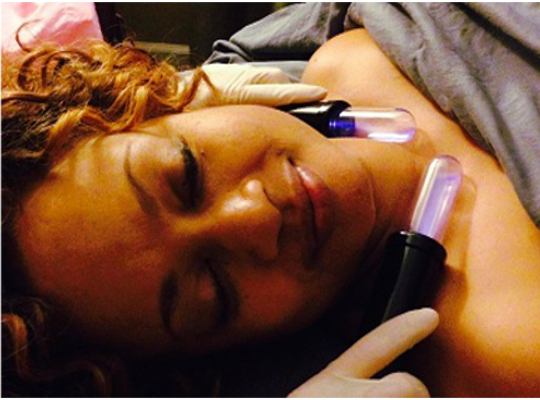 Lymph can be unclogged by Manual Lymphatic Drainage (MLD) and Electro-Lymphatic Therapy. 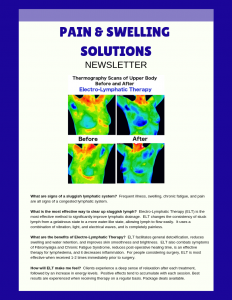 Both therapies are offered at Pain & Swelling Solutions. They are relaxing sessions that will leave you feeling revitalized and ready to take on the world!